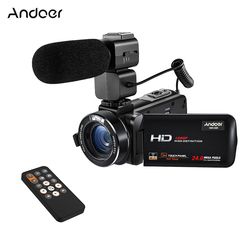 Home › Camcorders › Consumer Camcorders › Andoer HDV-Z20 1080P .. Suggest customers to use genuine Secure Digital Memory Card,grade 10 or above is strongly recommended. DO NOT ues T-Flash card.